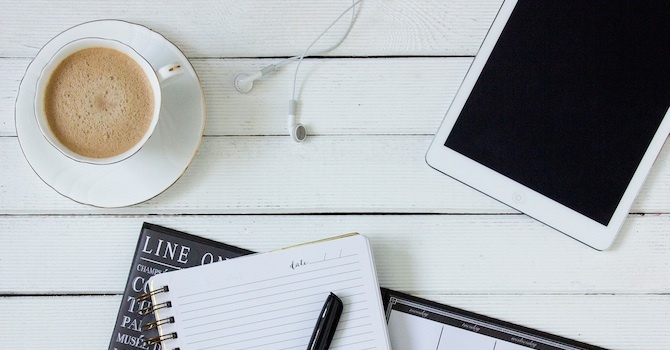 No matter what niche or field you're passionate about, you can probably find a podcast in it. And maybe you've even already thought to yourself, Hey, I could do that…. Well, you probably can do that. While podcasting can be a technically complex undertaking, it's really not all that difficult. There has never been a better time to dive into podcasting than it is right now. You simply need to understand the basics, be willing to work hard (especially at first), and be consistent about it. And judging by the auto-fill suggestions in Google, more people than ever are interested in creating their own podcasts. 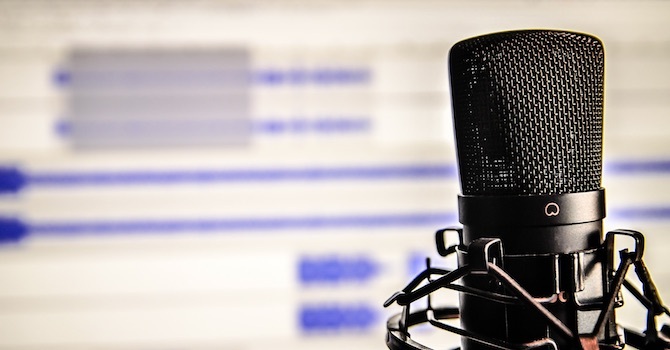 So we'll cover the basics & best practices for podcasting in WordPress in this article. That's really all there is to it – a streamable, downloadable audio file in episodic format to which listeners can subscribe. However, there's quite a lot of variation in modern podcasting. Probably the most familiar podcast recently was the insanely popular Serial podcast, which helped to win a convicted murderer a new trial. But for every Serial-level success story, there are hundreds or even thousands of other podcasts, perhaps not as well known but with devoted audiences of their own. Folks listened to the first podcasts on a brand new piece of technology called the iPod, that's one source for the name (though some also say it stands for Personal On Demand Broadcasts). These days, people listen to podcasts through all kinds of devices, including tablets and smartphones. In fact, the rise of the smartphone coincided neatly with the recent surge in podcast popularity. About 57 million Americans listen to podcasts, which represents a 23% increase from 2015 to 2016. If you're ready to create your own podcast, there's one thing you should do before you spend the first penny on equipment or write your first script: Listen to podcasts. In fact, you should listen and subscribe to a number of podcasts on various subjects. Look for podcasts in your niche or subject matter, so that you'll know what the competition is doing. But also listen to podcasts on other subjects and in varying formats (for example interview-based, storytelling, dramatic/comedic, etc.). The Audacity to Podcast – an award-winning how-to podcast about podcasting hosted by Daniel J. Lewis. Regarding podcasting equipment and technology, first and foremost, you'll need a microphone – the highest quality one you can afford. If you have a little bit of budget, and aren't sure where it will do the most good for your podcast, put it into your mic. You'll also need a computer, of course. Mac or Windows, whichever kind you're more comfortable working with, will do the job just fine. Software to edit your files – a Digital Audio Workstation (DAW) – is also necessary. To get started with, Audacity (which is free and open-source) will be sufficient. This post at Lifehacker walks you through the recording and editing process for a podcast using Audacity. Many professional-level DAWs are also available, such as Adobe's Audition or PropellerHead's Reason, but their licenses can cost several hundred dollars. It's up to you, but for the start a free tool may be the best choice. Finally, you'll need a platform on which to host your files. You can upload your files to your own WordPress website or blog; basically, you'd be hosting your own podcast. That might work if you expect only a small audience, but could quickly prove costly if your audience grows beyond your current bandwidth. 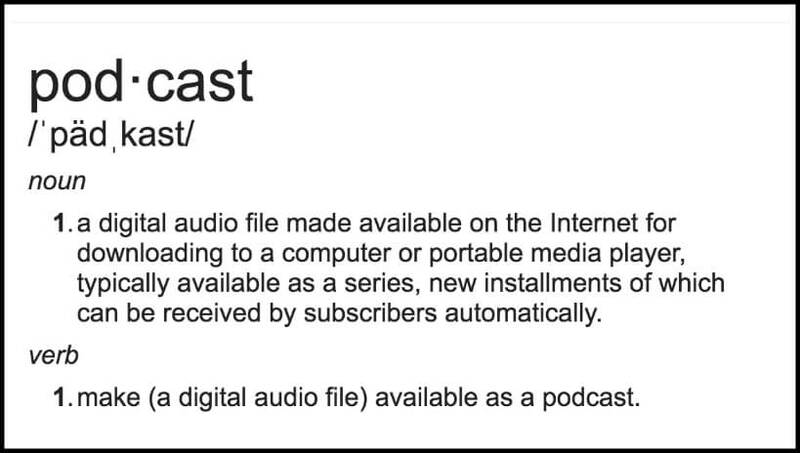 Most podcasters choose to upload and host their files elsewhere. Popular choices are Soundcloud, LibSyn, Podbean, and Spreaker. Or you can convert your mp3 file to mv4 format, add images (using Windows Movie Maker or iMovie), and upload to SlideShare or YouTube. Libsyn Podcast Plugin (free) is currently in beta and would be most useful if you're hosting your podcast on Libsyn's website. This plugin allows you to host multiple podcasts from the same blog or site, all with their own RSS feeds to make subscribing easier for your listeners. Smart Podcast Player is a full-featured WordPress podcasting plugin that's not free – it costs either $8 or $12 a month, depending on the level you select – but it does offer quite a bit more functionality than other options. You can choose to display a full audio player on your page, or a single-track simplified player. Smart Podcast Player also integrates with social channels for easy promotion and lets listeners speed up or slow down the audio they're listening to. Blubrry PowerPress Podcasting is a popular and free podcasting plugin that can grow with you. This plugin offers a simple mode that will prove useful for beginners, with simplified settings to help you get going quickly. When you're ready to try more functionality, you can switch to Advanced mode to take advantage of the professional features. This WordPress podcasting plugin includes full support for both iTunes and Google Play Music. Seriously Simple Podcasting is another plugin that WordPress podcasting beginners will appreciate. True to its name, Seriously Simple Podcasting will help you get your podcast up and running quickly, though more advanced users may want more functionality – and they may find it, in the plugin's growing body of add-ons, also free (as is the core plugin itself). Create an ideal listener avatar for your podcast (e.g., who is my ideal listener?). Then start filtering all essential production decisions (length, subject, format, frequency, content) through that avatar (e.g., what does that listener prefer? how frequently will you podcast?). Podcasting is a listening medium, which means your biggest asset is your own voice. Get used to listening to yourself over and over. 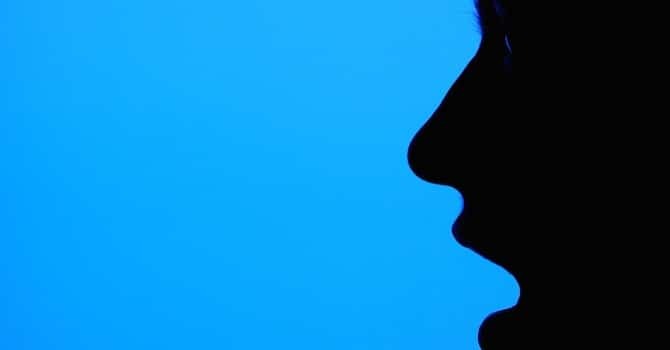 Try out different speaking techniques – though as a rule slower and softer is usually better – to see what sounds best. Don't let the audio-only nature fool you into thinking podcasting is somehow easy. 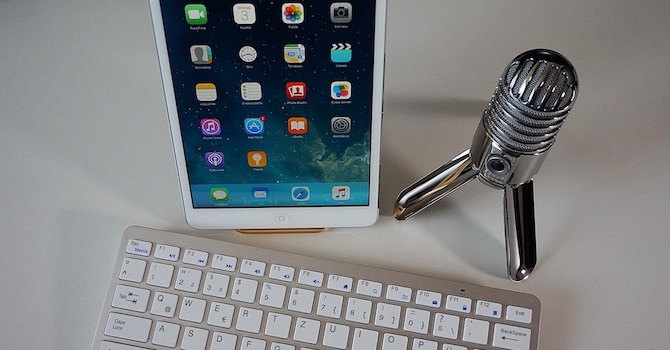 Because despite its audio-only nature, podcasting indeed requires a lot of effort and time, especially when you're first starting out producing your podcasts, says Patrick Allan from Lifehacker. Rehearse. A dry run is non-negotiable for professional podcasting. You want to make sure your audio levels are correct and that you understand the script (or outline) and the transitions. Finally, commit to the podcasting process, says Pat Flynn, the host of Smart Passive Income's podcast. You need to be consistent with creating, releasing, and promoting new podcast episodes if you want to build your audience. Podcasting definitely can help you advance your brand, reach an expanded audience, and even increase your revenue if you go about it the right way. Prepare each of your podcasting episodes carefully. Expect to refine and revise your approach considerably as you gain more experience and as technology changes. And most of all, have fun when podcasting! Do you podcast in WordPress? What's your favorite set up or podcasting equipment? Share your favorite piece of podcasting advice or lesson learned in the comment section below. This is a good overview for people who are new to podcasting. The amazing thing is how little has changed since about 2007. The specific distribution channels are a bit different and there are more plugins available, not to mention more options for recording a panel via video conference, but the basic requirements remain the same. Listen to podcasts. Find your niche. Identify your audience. Identify your goals. Set up a schedule. Be prepared to spend lots of time and at least some money. I think you skipped the part about marketing, though. Few people will just happen to stumble across your new podcast in iTunes, SoundCloud, or Google Play. Hi Sallie, thanks for your great additions to the article and you’re absolutely right, like with anything else, things won’t be successful by itself and it absolutely makes sense to invest time (or even money) in marketing. The good thing is, with WordPress as a base people have lots of possibilities to market their podcasts. Either by doing content marketing through blog posts, building an email list with subscribers, classic advertising on the site or else. Hi, I’ve had my own podcast for about two years but I eventually gave up because it turned out to be a lot of work to record, edit and publish the podcast and also to write show notes on a regular basis. Unfortunately I didn’t have enough time for it next to my day-to-day job. Anyway, I just wanted to say that I usually promoted my podcast via social media, podcast feeds and a podcast directory. Whenever I had published a new episode I shared it through various channels. You can also upload your podcast on YouTube and put the show notes with links to your website into the video description. That also works quite well if you do it on a regular and consistent basis. Hi Candice, thanks for sharing your story and maybe you’ll find time to start another podcast in the near future. If that’s the case, we would love to read an update from you on how it’s going.